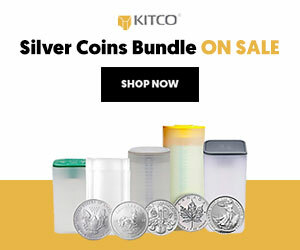 Geordie Mark, head of mining research with Haywood Securities, sees opportunity in both development-stage and producing precious metals equities, especially those domiciled in countries like Canada and Australia, where the currency has depreciated considerably against the U.S. dollar. For development-stage companies, Mark says it's all about visible time frames, good margins and a modest capex. And for producers it's all about recent performance. In this interview with The Gold Report, Mark tells investors to stay firm on quality, margin and performance. The Gold Report: So far in 2016, the Dow Jones Industrial Average is down, oil is at near-decade lows and the Chinese stock markets continue to slide. How is that translating to your coverage universe? Should investors be worried? Geordie Mark: It's certainly been a tough ride in the markets for many of the precious metals producers and development-stage companies—but we see that as an opportunity. Precious metals have taken a good run in the New Year, which has certainly enabled production-related companies to bolster their operating margins through higher underlying commodity prices and lower fuel prices. While there are obviously tumultuous markets out there and some overriding geopolitical hotspots, we see this adding to the case for the risk-off trade moving toward gold, and underpinning some strength in the gold price. We see that as a glimmer of strength and opportunity for investors. TGR: As of late January, China's Shanghai Index had fallen 47% since its peak in June. To date, ongoing economic weakness in China has had little impact on the gold price. Do you expect that to change? GM: If we look at the relationship between the gold price over the last year or so and the Shanghai Index, we have seen some broadly defined and sporadic antithetic relationships, with gold picking up more recently in correlation with the equity indices coming down. But much more than China drives the risk-off trade toward gold. For instance, uncertainty is being exacerbated by vacillations in the reactions to the implications of the Federal Reserve's decision to raise interest rates and the likelihood of further monetary policy engagement in 2016. These factors alone are impacting U.S. dollar and commodity price volatility, but are embodied within a global monetary policy climate catering for faltering economies through the adoption of accommodative monetary practices resulting in inflation and domestic currency weakness that further separates the Fed's actions culminating in some semblance of relative strength for the US dollar. Within that context, gold has performed relatively well over the last 14 months when considered in other denominations—South African rand, Australian dollar, Canadian dollar and New Zealand dollar. Such commodity price action has aided operations domiciled in these regions to protect and or expand their margins in addition to the benefits achieved through deflation in consumables costs (e.g., fuel, steel and reagents). There has been a favorable strength there. Issues in Europe and specific geopolitical hotspots are adding to individual worries on the financial outlook in various economies. TGR: Do you expect the Chinese to turn toward more personal gold buying if their economy continues to soften? GM: Perhaps, and encouragingly we note that Chinese gold consumption rose in December, maybe as a safe haven against the government's move to weaken the yuan. We are certainly seeing a recent bid there. TGR: Do you see any other meaningful trends? GM: Exchange-traded fund (ETF) gold balances have been on a downward path for several years. That reached a low in early 2016, but since then, we have seen ETF balances strengthen appreciably, which is a positive sign for underlying demand and refocus toward the commodity. Concurrent with EFT buying we are seeing the futures market showing long positions move up and short positions move radically down. TGR: After being up 7.14% in 2012, gold has fallen each year since. So far this year, gold is on track to make gains of about 6% in 2016. Is that consistent with Haywood's projections? GM: Right now, we project a $1,200/ounce ($1,200/oz) gold price going forward. We use a flat deck, ultimately, in order to differentiate more so on the relative quality of the assets and operational performance of mining companies versus implanting a potential bias based on commodity price inflections. For the gold price, there's a far more interwoven tapestry where value is born from differentials on currency. We've certainly seen weakness in the Canadian dollar over the last 14 months and something similar for the Australian dollar, the New Zealand dollar and the South African rand. The weakness in those currencies has really enabled Canadian and Australian gold producers to lower their costs and foster margin expansion to outperform global markets, at least more recently. TGR: A recent report by Haywood said that few development projects are likely to be funded for production considering the assets available, prevailing metals prices and low equity valuations. What types of projects are likely to get funded? GM: For development-stage projects, capital allocation is expected to focus on projects with the potential to deliver strong operating margins for modest capital deployment requirements. Facilitating operating margin potential involves the typical interplay of deposit morphology, grade, metallurgy, and projected operating costs that in themselves have to be considered in the context of initial and ongoing capital requirements. What's more, jurisdiction plays an important role in differentiating asset economics and development potential through its currency strength, clarity in asset ownership structure, fiscal regime transparency and permitting structure. Considering these facets, we are focusing on projects with structured and visible permitting and construction horizons that could enjoy good margins for the deployment of reasonable capital expenditures (capex) that can be funded through modest market participation. TGR: In a recent report, you wrote that Moose River would become a near-term producer. What time frame were you suggesting? GM: Moose River could ultimately start development sometime in the next year or so, if the appropriate debt agreement came into place and it could win more capital support through the equity markets. If all goes well in development, first production could occur in early 2018. TGR: What's your estimated production for the year? When will it start to generate free cash flow? GM: We are looking at 2016 production of about 197 Koz at cash costs of $610/oz and all-in sustaining costs just over $900/oz. After the company's ramp-up year, we are looking to the company to deliver free cash flow in 2017. We believe that there is a nearer-term objective to try and elevate mill throughput via the introduction of more oxide material. Such could be undertaken principally through the discovery of additional oxide ounces nearby, and we believe that Asanko is striving to deliver on such aims over the near term. TGR: What's your investment thesis for producing companies? GM: We're looking for a track record of delivering production on guidance. Outside of hedging, there are few aspects outside operations that you can control, so delivering on guidance represents an integral facet to understanding management's capacity to deliver and execute to plan. We're also looking for companies that show growth potential and, where appropriate over time, to give a bit back to shareholders through a dividend. I think having an eye to deliver on a dividend keeps management focused on controlling costs and delivery of the underlying free cash flow. TGR: In the Chinese zodiac in 2016, it's the Year of the Monkey. What will this year be known as in the mining space, at least in your view? GM: It could be a year of opportunity and consolidation. It's a fantastic time to build mines given that input costs are relatively cheap, and access to quality technical teams is at its highest in a long time. So it's a great time for building and operating mines. Gold producers have radically dropped their all-in sustaining cash costs over the last 12 quarters. That's obviously a coincident change in operational behavior combined with cost restructuring (both passive and active). We believe that there will be change in commodity prices or input prices, as well as a change in staffing structure. We're going to see further operational prudence from producers over the near term. Further, we'll continue to see markets where investors focus on quality, margin and performance, but also look to seek additional exposure to leverage on gold price surges. TGR: Thank you for your insights, Geordie. Geordie Mark is the head of mining research at Haywood Securities. He was previously an analyst with Passport Capital. In an earlier period he was vice president of exploration for Cash Minerals. Prior to joining the exploration industry full-time, he lectured in economic geology at Monash University, Australia, and served as an industry consultant. He holds a Ph.D. in geology from James Cook University.